Extensive remains of medieval painting survive in the church of Ewenny Priory, particularly in the eastern bay of the presbytery (above, top). 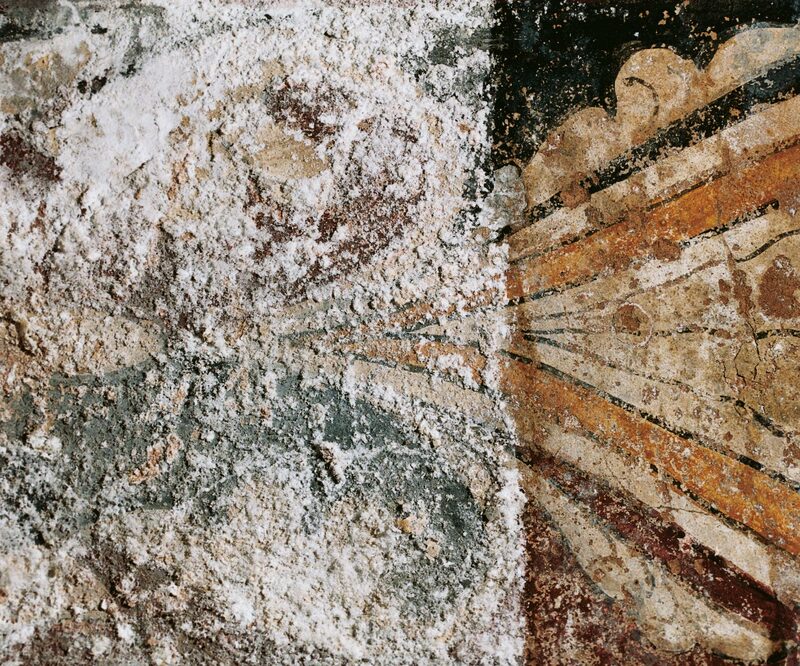 Recording and conservation of this decoration were undertaken for Cadw in 2003-04, and one of the most significant findings was that the painting comprises two different schemes of decoration dating to the 12th and 13th centuries. Only fragments now survive but graphic documentation has allowed a clarification of the nature and style of these two respective early medieval schemes (below, left and right). Detailed examination using non-invasive techniques, together with photographic and computer-based graphic documentation, are used to determine the nature, extent and condition of decorative schemes, as well as for planning, costing and recording treatment interventions.